Most of the current iris recognition methods utilize the iris images that are captured between the 700 and 900 nm range for verification and identification purposes. However, iris images acquired beyond this narrow range have shown to uncover identifiable information not previously available within the 700 − 900 nm near-infrared range (NIR). In this work, we will employ a feature extraction technique on iris images from 450 nm to 1550 nm to elicit iris information on a wider electromagnetic spectrum. We will employ the use of a Genetic and Evolutionary Feature Extraction technique (GEFE) and compare the performance against an exploratory data analytic approach, referred to as mGEFE. The mGEFE technique discovers salient pixel regions in iris images. We also perform cross spectral analysis among the wavelengths. 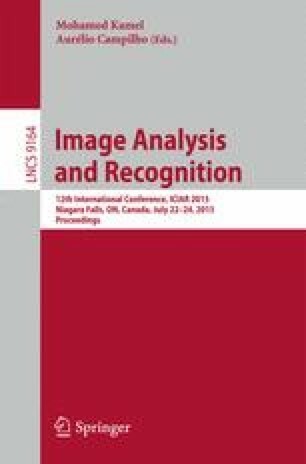 Results show that GEFE outperforms mGEFE and LBP in regards to recognition accuracy, but mGEFE produces FEs that show salient areas of iris images to explore for optimal recognition. This research was funded by the Army Research Laboratory (ARL) for the multi-university, Center for Advanced Studies in Identity Sciences (CASIS) and by the National Science Foundation (NSF), Science & Technology Center: Bio/Computational Evolution in Action Consortium (BEACON). The authors would like to thank the ARL, NSF, and BEACON for their support of this research.